IBM Storage Insights provides an unparalleled level of visibility across your storage environment to help you manage complex storage infrastructures and make cost-saving decisions. 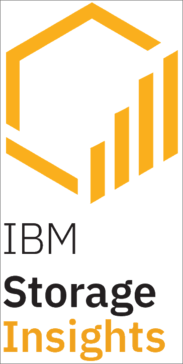 It combines proven IBM data management leadership with proprietary analytics from IBM Research. As a cloud-based service, it enables you to deploy quickly and save storage administration time while optimizing your storage environment. It also helps automate aspects of the support process to enable faster resolution of issues. Work for IBM Spectrum Storage Insights? Learning about IBM Spectrum Storage Insights? Microsoft Genomics offers a cloud implementation of the Burrows-Wheeler Aligner (BWA) and the Genome Analysis Toolkit (GATK) for secondary analysis. The service is ISO-certified and compliant with HIPAA regulations, and offers price predictability for your genome sequencing needs. * We monitor all IBM Spectrum Storage Insights reviews to prevent fraudulent reviews and keep review quality high. We do not post reviews by company employees or direct competitors. Validated reviews require the user to submit a screenshot of the product containing their user ID, in order to verify a user is an actual user of the product. Hi there! Are you looking to implement a solution like IBM Spectrum Storage Insights?